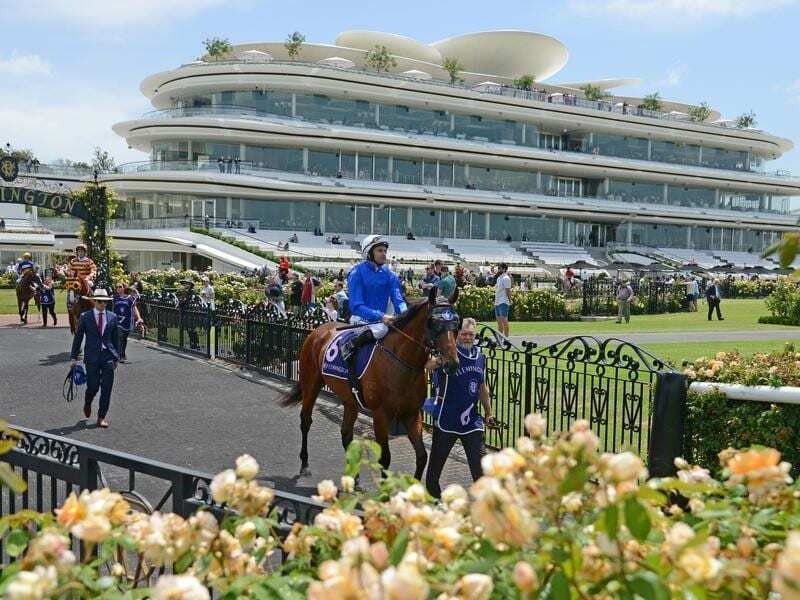 Godolphin-owned colts Microphone and Lanigera are fighting out favouritism for the Talindert Stakes while Lindsay Park trainer David Hayes believes one of his runners is over the odds for the Listed race. The Talindert Stakes for two-year-olds is run on the straight course over 1100m at Flemington and the James Cummings-trained Microphone and Lanigera headed the market on Thursday at $4.60 in the field of 16. Microphone won down the Flemington straight on debut last month before finishing second in the Blue Diamond Preview (1000m) at Caulfield on January 26. “He’ll enjoy getting back to the straight track here,” Cummings said. Lanigera was third to current Blue Diamond Stakes favourite Loving Gaby in the Chairman’s Stakes in his first start this campaign and both his runs have been around a bend at Caulfield. “He’s been in good shape since his last run and he has valuable straight-track experience from trials at Flemington last year,” Cummings said. Hayes’ Lindsay Park has three chances including former champion sprinter Lankan Rupee’s three-quarter sister Art Collection who was beaten in a photo finish to the Maribyrnong Plate at Flemington in spring. The filly was unplaced in her return in the Chairman’s Stakes at Caulfield and was on the third line of betting at $10. “Her first run down the straight was outstanding,” Hayes said in his stable update. Stablemate Swan Island beat Art Collection home in the Chairman’s Stakes and has been scratched from races at The Valley on Friday night and Morphettville on Saturday to chase black-type in the Talindert. Mike Moroney will run Alburq after his last-start third in the Blue Diamond Preview behind I Am Immortal and Microphone. “He had a jump-out down the straight last Friday and went well so we decided to run him in this,” Moroney said.